Edward T. Grigware (1889-1960) was already a well-known American artist and illustrator before he moved from Chicago, Ill., to Cody, WY., in the 1930s. He attended the Chicago Academy of Fine Arts and spent time working as a commercial artist. During WWII, Grigware created poster art to support the war effort and painted pieces for the U.S. Navy. Grigware became well known for his western art and was an accomplished mural artist, with pieces housed in churches, museums and other buildings across the United States. Given his expansive talent and his friendship with Cody residents and LDS church members Glenn and Olive Nielson and Lloyd Taggart, it is not surprising he was asked to create the artwork in the Cody Chapel. 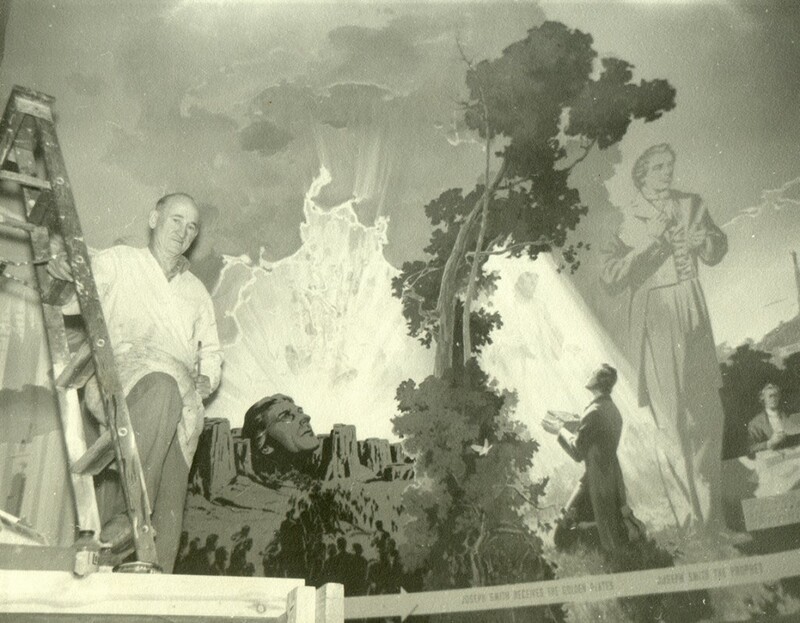 Although he painted a number of pieces featuring prominent church figures and created a mural for the Los Angeles LDS Temple, Grigware was not a member of the Church of Jesus Christ of Latter-day Saints. He spent nearly a full year studying church history to gain a greater understanding of the history of the Mormon people and the religious tenets of the faith. He selected the historic scenes for the mural, first painting them in watercolors. He then began the consuming process of creating the mural, commenting that “a hand greater than his own” was guiding his brush. 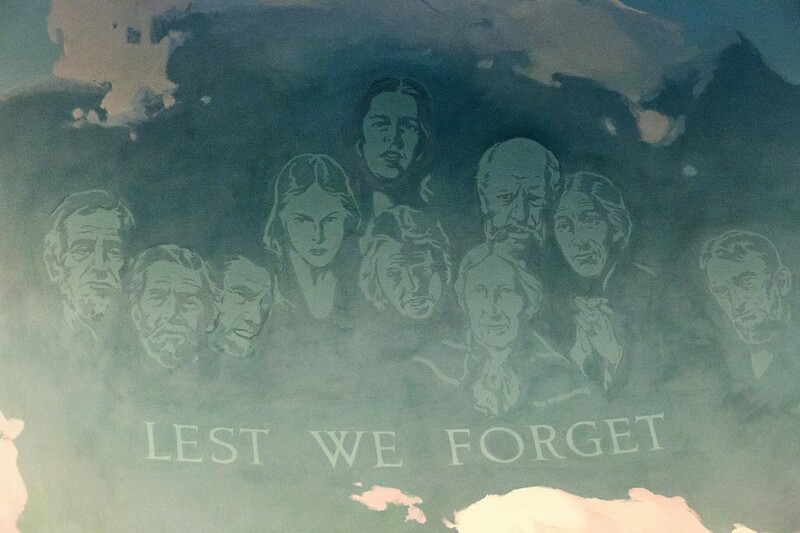 The mural was completed and unveiled to the public in 1951.